iFixit has completed its teardown of the new 15-inch MacBook Pro with Touch Bar, confirming the notebook is equipped with a non-removable SSD just like the 13-inch MacBook Pro with Touch Bar. Only the entry-level 13-inch model with a standard row of function keys has a removable SSD in Apple's new MacBook Pro lineup. The teardown confirms the processor, RAM, and flash memory are soldered to the logic board, meaning the SSD in particular cannot be removed or upgraded after the fact. If you opt for Apple's standard 256GB or 512GB configurations, for example, you will be unable to upgrade to a larger Apple or third-party SSD at a later time. 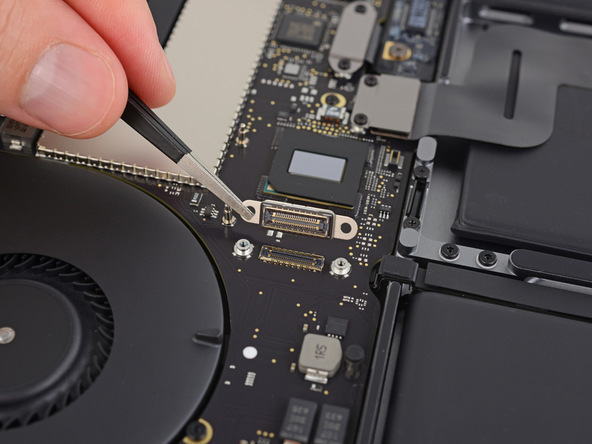 Interestingly, however, the teardown finds the new MacBook Pro has a connector that leads to "nowhere," which iFixit speculates could be for Apple to access the soldered-in SSD for data recovery. iFixit suggests there might at least be a chance of recovering data with Apple's help should the logic board experience hardware failure. Apple's notebooks have become increasingly hard to repair and upgrade as their designs have become thinner and lighter. iFixit gave the new 15-inch MacBook Pro with Touch Bar its lowest "repairability" score of 1 out of 10, noting the Touch Bar is difficult to replace while the entire battery assembly is strongly glued into the case. 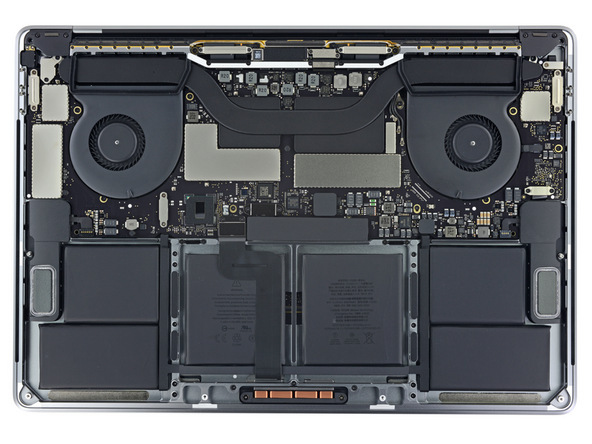 The rest of the teardown reveals the 15-inch MacBook Pro with Touch Bar is very similar to the 13-inch model, beyond having a different six-cell battery layout. First, the new ones have a price hike for what many consider a minimal or incremental-at-best upgrade. Then, to get the new, much-hyped Touch Bar is basically another price tag all on its own. Then, they remove all the compatibility for older ports and chargers, so you need to buy dongles, cables, and chargers. Then, the guys at iFixIt tear it open and find that nothing inside is user-replaceable or even user-serviceable. Finally, and because of that, the guy at 9to5Mac says you'd better purchase AppleCare to protect it for three years, though it will likely get outdated or superseded in two. Cupertino has been clever for years, but they're coming fast to that crossroads or tipping point where it no longer becomes worth it, competition is catching up, and users are willing to jump ship to a different platform. On a side note, what good is that 'environment friendly' chart they always tout, when nothing is upgradable and the whole system has to be tossed when it goes bad or becomes obsolete because it can't be tweaked anymore? Well, hey, at least it's beryllium-free, right? Can someone please explain to me (without going on a tear about profits and greed) what the advantages of doing this are, from a design standpoint? It seems like the end-user is only (and understandably) upset about this. I, for one, will not purchase another Mac laptop now or in the future, and it's because of things like this. I'm just trying to understand the reasoning behind their decision- the benefits, even. Anything. FFS we already knew this. Are you deliberately trying to start flamewars with these inflammatory threads that breathe new air into Apple haters? Silly that they are getting to be non-removable everything and force you to rely on dongles, but man they know how to build laptops. The internals are so clean. I would say this new Mac is like a disposable camera....but at least you could take the film out of a disposable camera and reuse it. Saying that would insult the camera. This Mac is 100% throw away junk designed to make sure you must buy a new one when it starts failing in any way. Apple now makes crap.